The vision of CHMS is to become a true partner in the success of our clients by providing significant expertise, outstanding service, and an unwavering commitment to achieving the goals and objectives of the organization. We are guided by three core values: Integrity, Excellence and Commitment. CHMS currently provides Executive Director Services to various organizations. The Executive Director reports directly to the Board and is responsible for carrying out all directives of the Board. Utilizing his/her significant experience in association management, the Executive Director makes recommendations to the Board regarding best practices in the association management industry, strategies for growth, future initiatives, and opportunities. As the main point-of–contact for the Board, all association work is assigned to the Executive Director who may call on members of the CHMS team for assistance, thereby assuring that all work is completed in a timely manner. The Executive Director oversees all work and is responsible for the delivery of quality services to our association partners. If desired by the leadership, the Executive Director may act as the “public face” of the organization. CHMS professional staff is experienced in handling all functions of an organization. We currently provide administrative support to 35 organizations around the world. We continuously update our technology and review our policies, procedures, and operational systems in order to ensure the highestlevel of excellence and efficiency in our services. CHMS offers a complete association management package for volunteer boards of directors who are working to meet the challenges of their organizations. 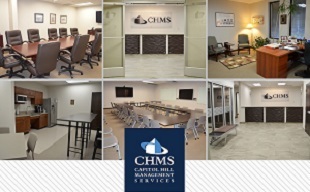 Partnering with CHMS allows your board to focus on strategic decisions while we provide the full support needed to successfully implement your plan. CHMS will establish your organization's business office and assign an account executive as your main point-of-contact. Mail will be delivered to CHMS. CHMS will receive and answer calls in your name. An email address will be created for your organization and managed by the Account Executive. An Account Executive will be assigned to your organization and will work at the direction of your board of directors. 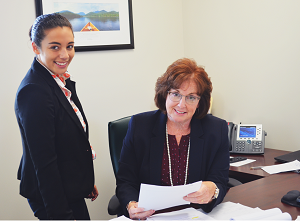 The Account Executive will provide full administrative support to your organization. Assist with membership recruitment activities. Answer all calls and respond to member inquiries and requests. Schedule board meetings, prepare board packets and provide full support to the board of directors and committees. CHMS will work with your organization to provide consistent and effective communication to your members. CHMS's Bookkeeping Services offer an extraordinary level of timeliness and accuracy while you maintain full authority and control. Supervised by our Vice President for Finance & Operations, CHMS will provide a complete package of services. Manage accounts receivable and accounts payable. Provide timely and accurate grant reporting. 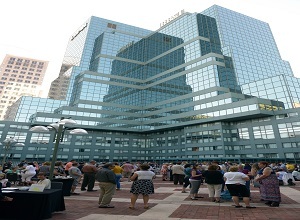 CHMS successfully plans and implements conferences, tradeshows, and events throughout the country. Plan and produce events and conferences. Provide follow-up and support for speakers. Assist in preparation of sponsorship packets. Provide follow-up and support for vendors. Provide onsite management of the event. Provide all necessary services to ensure a quality event. CHMS is accredited by IATAN, the International Association of Travel Agents Network. CHMS provides complete management of Board, Executive, and Committee Meetings on behalf of our clients. This includes arranging for location/call, preparing all documents, providing meeting notices, taking and preparing minutes, and participating to the extent desired by the Board. CHMS staff plans, produces, and participates in Board Retreats as required. CHMS provides scholarly publications to members. We typically coordinate with a third-party publisher, providing administrative coordination and support. CHMS is also responsible for the production of digital and print newsletters for the majority of our association partners. CHMS offers a level of accounting expertise not often available to non-profit organizations and associations at a cost-effective price. CHMS uses an online banking program which allows your Treasurer or President to retain complete authority and control over your finances while the day-to-day operations are provided by a skilled accounting team. CHMS manages continuing education, certification, and professional licensing for a variety of professions. CHMS works with many national and statewide organizations to provide strategic, administrative and financial management support to committees, chapters, and regional groups. CHMS currently provides membership support to a number of associations. This includes membership retention, attraction activities, and events. We have successfully assisted dozens of organizations to stabilize and grow their membership. We provide an outstanding level of service and support to members; maintain accurate and current databases; and manage timely and effective communications with members and boards of directors. CHMS has developed several strategies for recruiting new/younger members, such as the use of social media to reach and engage new members. 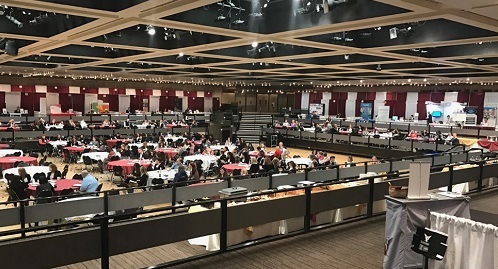 CHMS understands the importance of building and maintaining solid relationships with related organizations and works to support those efforts. CHMS has provided strategic planning services to dozens of associations. We begin with an assessment of the organization's current status, review opportunities for refinement, and develop strategies to achieve goals and objectives. Throughout the year, the Executive Director will continuously review established goals and progress. Frequent and effective marketing and communications are essential to building a dynamic organization with committed members. CHMS uses a variety of methods to engage and inform association members. These include the maintenance and promotion of a dynamic user-friendly website, scheduled email blasts, member alerts, social media, and digital or print newsletters. CHMS develops a complete marketing plan for each organization designed to enhance the visibility of each organization, increase membership and sponsorship support, and reinforce each organization’s message. In addition, we remain alert for and seek out earned media opportunities on behalf of our association partners.